Director-General of the Lagos Chamber of Commerce and Industry, LCCI, Muda Yusuf. 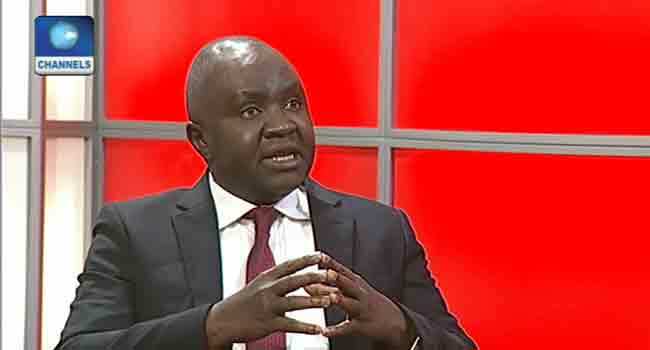 The Director-General of the Lagos Chamber of Commerce and Industry, LCCI, Muda Yusuf, has suggested privatisation of Nigeria’s oil industry explaining why the Nigerian National Petroleum Corporation, NNPC, should become a private agency. The economist said this on Monday when he appeared as a guest on Channels Television Breakfast Programme, Sunrise Daily. He claimed that the NNPC is crippled with structure and governance irregularity and the model needs to be reviewed to disconnect it from the Federal Government. “There is serious inefficiency in that sector (the NNPC) and it is something that is typical of a government parastatal. When you have something as strategic as the oil and gas and you leave that to the bureaucrats to be managing, you are going to have problems. “We need to revisit the entire model. We have to disconnect the NNPC from the government. It has to be a private enterprise competing with other private enterprises so that we can have a competitive environment. That is when we can have the benefit of what we should have,” he said. Yusuf also explained further that the privatisation of the oil sector is the way out incessant fuel scarcity adding that private investors will reduce problems currently experienced in the oil sector. “This will attract more investment and allow private sectors to invest in refineries and create more jobs. It will reduce the problem of oil smuggling as well,” he said. Government agencies according to the economist are characterised by irregularities which he said is why there is a need for privatisation to create room for competition. “How many government institutions have you seen being run efficiently and sustainably? This is something that the private sector can run properly. It (Nigeria’s oil sector) is being run by bureaucrats. “How do you run an oil producing country when there is no private investment in refineries? Licenses have been issued to private individuals for almost five years and nothing is happening. Speaking concerning fuel price hike, a challenge which the consumer is always confronted with, Yusuf said the interest of the consumer can only be protected in a competitive environment.